After the Wiawaka Retreat, Anita and I made a side trip to the Shelburne Museum in Vermont. Over 100 of the quilts in their collection were on display. Although all the quilts are featured in the book "Art of the Needle", it was wonderful to see them "up close and personal". My favorite has always been the Bias Pomegranate and this was the first time I had been able to see it in person. After seeing the quilts, we were able to tour several of the other buildings/displays. We saw original oil paintings by Monet, Degas and Mary Cassatt. But our favorite place was the apothecary--with hundreds and thousands of cures for every imaginable complaint. We were especially worried how we would know if we had "brain worms" or if our liver was lazy! And we think we saw a forerunner of Viagra! 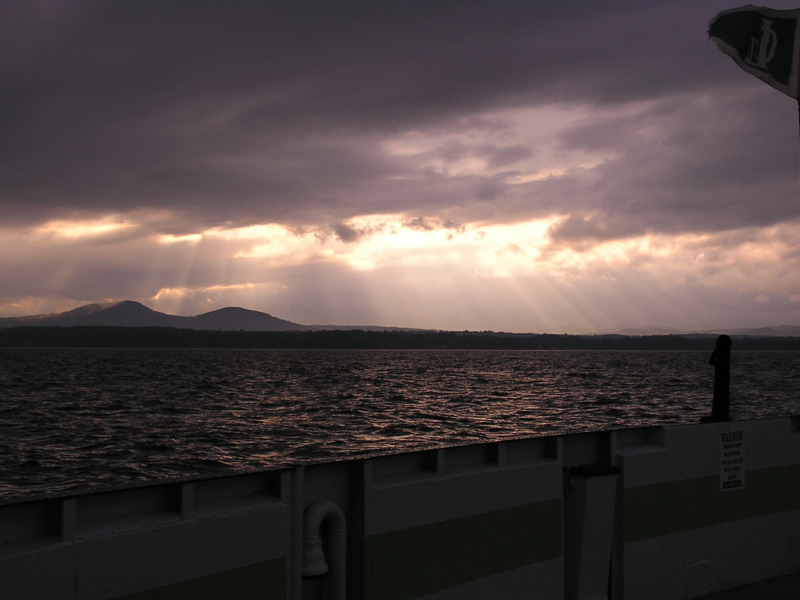 We crossed Lake Champlain on the ferry both ways--it was an enjoyable way to unwind.